Special Olympics PEI, on behalf of Special Olympics Canada, is searching for volunteers willing to assist with Healthy Athletes events being hosted during the 2018 Special Olympics Canada Bowling Championships in PEI. Healthy Athletes is a global initiative dedicated to providing health services and education, through eight separate disciplines, to Special Olympics athletes. The goal is to change the way health systems interact with people with intellectual disabilities while encouraging healthy lifestyles for Special Olympics athletes and their families. At this event, we plan to offer: Fit Feet, FUNfitness, Strong Minds, and Opening Eyes! 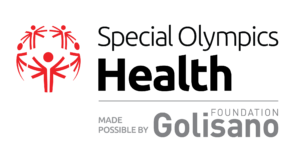 Special Olympics is reaching out to clinical and public health professionals skilled in helping individuals learn and practice healthy behaviours. Experience within healthcare, students studying in the field, or keen volunteers are welcomed to join; there are volunteer roles during this impactful event for everyone! Professionals or businesses in the following fields would be an asset: podiatry, foot care, mental health, human kinetics, and physiotherapy. Screenings are being offered to athletes participating in the games from across Canada in Summerside (May 16th, 2018) and in Charlottetown (May 17th, 2018). Special Olympics is able to provide lunch/snacks and gas/mileage for people travelling from outside the event location area. Sign up here today! For more information on Healthy Athletes, More information on Healthy Athletes can be found here.